Sorry that the blog is ending but I wish you all the best in the future. I love TTT and am very grateful that the created and hosted it for all these years. The Broke and the Bookish has a storied run! I am glad TTT will continue though, since it makes Tuesday one of my favorite days of the week. The Broke and the Bookish will be missed, but I do totally understand. So sorry to hear that this is the end, but it does happen to the best of us! Glad to hear that the meme will still be going strong! Though since it's Xmas, it already makes me think what will happen with the Secret Santa exchange for next year! This one has always been my favorite! I definitely plan to still host it next year! The blog will stay up so Jana and I will probably reunite to host! If not, she will likely host it on her blog! Congratulations on an amazing blogging run! <3 Thanks so much for creating & hosting for so long! Aw :) Thank you for hosting TTT for so long! So happy that it will keep going on! Jana - Flame in the Mist is wonderful, but definitely not a Mulan retelling. A lot of people were disappointed when it wasn't because they definitely promoted it as one. What an amazing blogging run! Wow, 8 years has flown by. I remember when these first started. It's been so much fun posting over the last 8 years. Thank you for all your ladies have done!!! You'll be missed, but I'm looking forward to still staying in touch on social media etc. Thanks so much for hosting this for so long and I wish you guys the best in whatever you do. I did almost panic so I'm glad you are putting it in capable hands. I've found so many awesome blogs and met so many wonderful bloggers through this site that I would hate to lose it. Good luck and I'll miss you! Blogging is a lot of work, so I totally get that with changes in life that something has to give. Enjoy your time with your family, and I'm happy to hear that TTT will continue! NO! I'm gonna superduper miss you! But thank you for all the work you have done. I did panic for a second but then I saw you are handing it over and I started breathing again. :-) I hope you will still "play" TTT once in awhile. Thanks for hosting for so long! This is such a fun meme and I've found so many great blogs and great books through it. I'm glad it's not going away for good! Thanks, Jana, for taking the reins. I'll definitely spread the word about the change. Thanks for all the great years! Thank you for hosting the meme for this long!!! I only just started out but I've already connected with so many amazing bloggers and have added TOO MANY BOOKS to my TBR! Thank you so much for hosting Top Ten Tuesday for such a long time! It's one of my favorite things to post on my blog whenever I can and it's been with me since I started blogging ages ago! Thank you for hosting TTT! I have enjoyed it over the years. How did I not know you guys had your own other blogs?? I'm definitely a little out of touch. Please share all the places to find you soon. 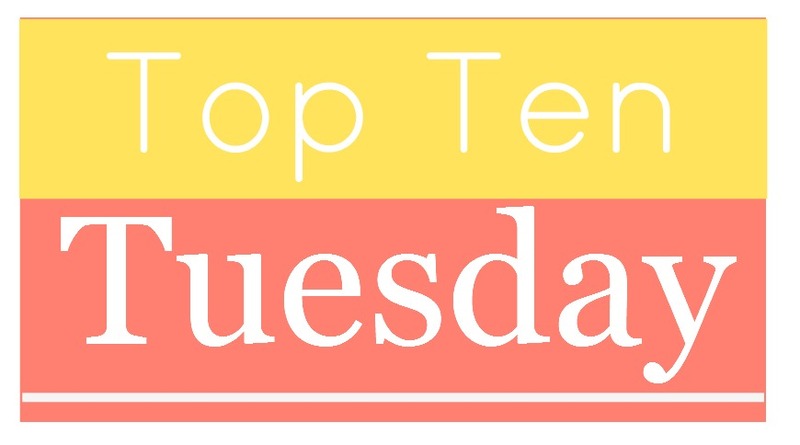 I LOVE Top Ten Tuesday, so thank you for getting it started and keeping it going so long and looking forward to continuing it over at The Artsy Reader Girl! Daughter of the Forest was beautiful. One of my all-time faves! I hope you get it! And good luck with the new chapter in your life! Thanks for hosting all these years. I have an updated list of past topics for you all — whose email should I send it to? Jessica, you are a GEM. Please email it to me: Jana Sparkles @ yahoo. I'll get it up on the Master List here and it'll be so helpful for me to have as I transfer it to my own blog. :) Thank you so much! Awwww! I’m a little sad that this blog is ending, but I’m so happy that you’re all happy and loving life!!! People grow and change, so I totally understand. Thank you for hosting this and helping to connect so many awesome bloggers together!! Having a baby and family changes things but what an amazing legacy you have with Top Ten. I am not as active anymore but I enjoy coming to see the topics and having a look. Happy Holidays. Thank you all so much for this blog and Top Ten Tuesday! Thanks to you all I have met and follow so many wonderful book bloggers. I have two boys - 13 (! how did that happen?!) and almost 11 now. I understand how busy motherhood is. I'm so glad Jana will continue Top Ten Tuesday on her blog and I will follow you all individually for sure. Times change, and we just change and adapt along with them. Good luck! This was a cool list. I have Flame in the Mist and can't believe I forgot Little Fires Everywhere for my own list. Happy Holidays and glad you passed on the baton to keep the meme alive. I want Little Fires Everywhere, too. I’ve seen so many good reviews of it. 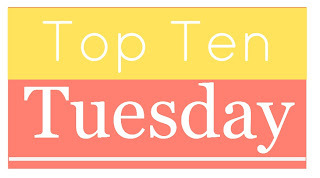 Awww, I'm so grateful to Top Ten Tuesday, as it encouraged me to hop around blogs when I first started blogging! I'll definitely continue participating, and thank you Jana for taking over the reigns! Jamie, you will LOVE Little Fires Everywhere. Please, please, please let me know what you think when you read it. As a mom, I think it'll resonate with you, but as a newer mom it might resonate differently for you than it did for me. I read it a few months ago, but it's still on my mind, and I'm already thinking about re-reading it, which rarely happens to me, especially so recently after reading! So, please let me know when you read it, and what you think!!! I've only joined in the last two years, but it's been so fun to participate! Thanks for the long years of hosting, and for coming up with a sweet meme. I'll definitely be following it to Jana's page! Jaimie-I didn't even realize you had another blog--adding it to my blogroll tout de suite! I've loved TTT and need to get back into it. I'm really looking forward to Jana leading it here on TBTB. Thank you for hosting for so long. I've met a lot of bloggers through it. I will continue to follow your blog Jamie and continue with Top Ten Tuesday with Jana! :-) Much love! I didn't take part last week, but I wanted to say a huge thank you for hosting Top Ten Tuesdays for so long, and also for orgnasing The Secret Santa (which I've been privileged to take part in for two years now).